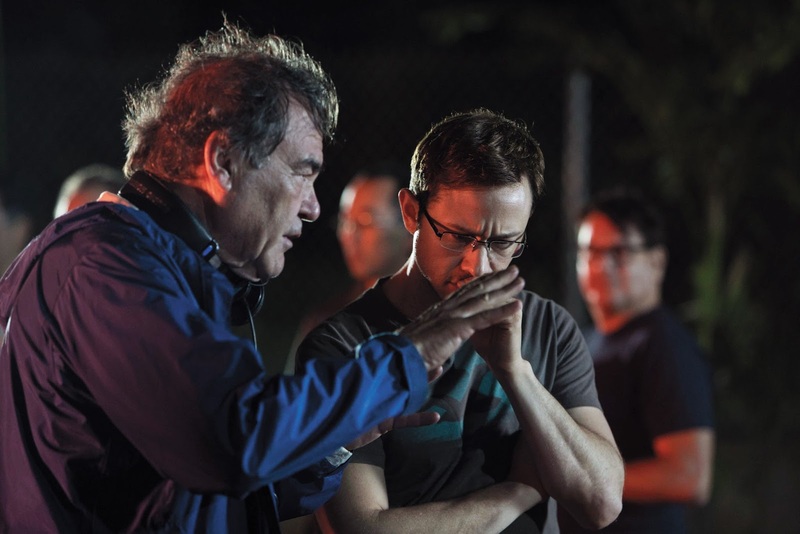 The release of the new Oliver Stone film SNOWDEN, which tells the story of the CIA whistleblower Edward Snowden, is a timely reminder of the director's importance as a filmmaker. Prior to SALVADOR and PLATOON, both released in 1986, Stone had directed two horror films, SEIZURE (1974) and THE HAND (1981), but had found more success as the Oscar-winning screenwriter of MIDNIGHT EXPRESS (1978), and also CONAN THE BARBARIAN (1982), SCARFACE (1983), and YEAR OF THE DRAGON (1985). 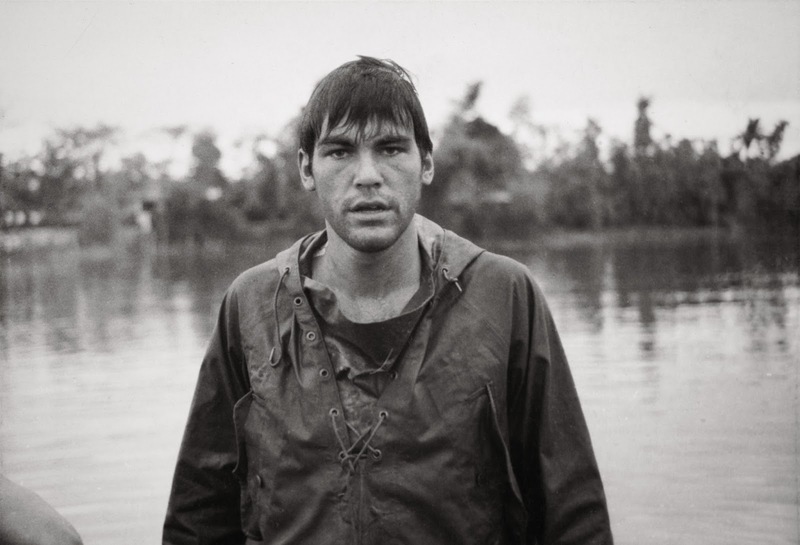 Starting with SALVADOR, Stone embarked on a non-stop journey of filmmaking that would see him tackle topics such as US involvement in Central America (SALVADOR); the experience of living through the Vietnam War as seen through the eyes of American soldiers (PLATOON, BORN ON THE FOURTH OF JULY, HEAVEN ND EARTH) and a Vietnamese woman (HEAVEN AND EARTH), and their struggles to adapt to 'civilised' American society; the murder of John F. Kennedy and its cover-up (JFK); the life and legacy of Richard Nixon (NIXON), and the media's culpability in the rise of serial killers (NATURAL BORN KILLERS). The lack of comparitive interest in his NIXON biopic effectively slowed down Stone's output, but his work since has been as politically-charged, epic, aggressive and ambitious. Stone is a filmmaker impossible to be ambivalent about. Despite the success his films have enjoyed (including Oscars for Best Picture for PLATOON, and for Directing for PLATOON and BORN ON THE FOURTH OF JULY), he has been heavily criticised throughout his career for some of his artistic decisions. Stone will always be a genuinely controversial, exciting, provocative artistic figure, whose bravery in telling it like he sees it gives his cinema that unmistakeable Stone-like frisson of danger. As James Woods would agree, he is not capable of compromising his artistic vision. 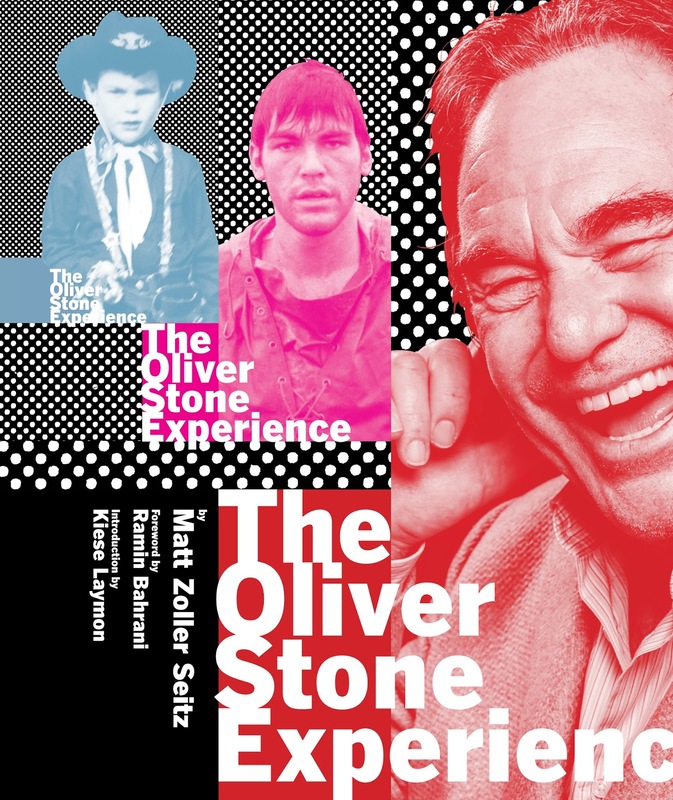 Matt Zoller Seitz's new book, The Oliver Stone Experience, will be received as a dream come true to those who love the man's work. Like Stone's films, it's epic, beautiful, and passionately put together. It is bursting to the seams with ideas, opinions, observations, reminisces, questions, and anger. Seitz's book, which he describes as 'a tribute to him', is a coffee table book running to near 500 pages and spreading out over nine lengthy, copiously illustrated pages. The photo selection is fascinating – as well as posters and stills and background photos, there is material from Stone's personal collection and from his production archives; extracts from scripts (including unmade or much-revised ones), and contextually appropriate screengrabs from his films. The introduction is by Kiese Laymon, and there are also thought-provoking essays by Jim Beaver, Kim Morgan, Michael Guarnieri, Walter Chaw, and Alissa Wilkinson that looks at various aspects of his work. The book covers his whole life, focussing on the all the films he has made, including those he wrote but did not direct; his novel A Child's Night Dream, and his documentaries. Each chapter is a question and answer session covering a certain era. Seitz is an excellent journalist and his questions come from a desire to understand more deeply the man and his films. His knowledge and high level of research is quickly evident. 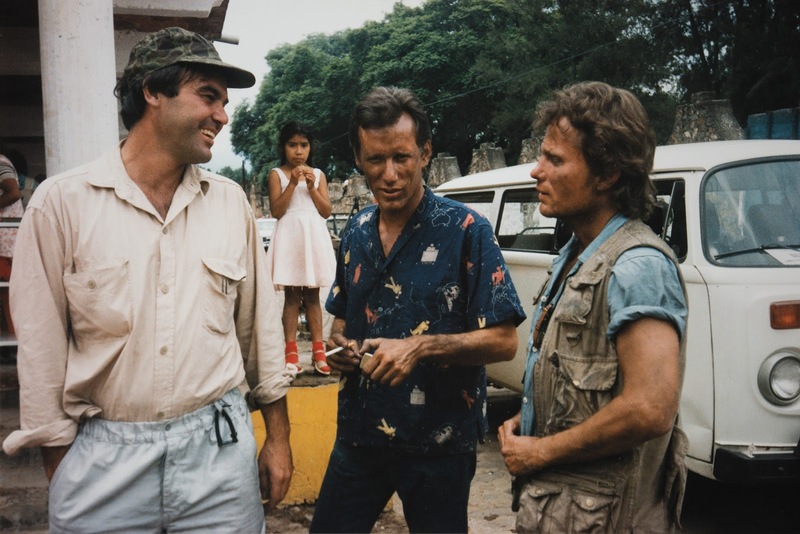 As one would expect, Stone's personal journey is as wild, exciting and eventful as any one of his films; especially so in the chapters that deal with his wartime experiences, backed by his private photographs, where the effect is of an even deeper cinematic Oliver Stone experience. These are the real stories, the real blood, sweat and tears that created the films that have affected so many. You won't look at the films the same way again. The opening chapters, detailing his upbringing and the road that took him to Vietnam and then to filmmaking, are also particularly vivid and powerful, immediately putting into context the themes, concerns and anger that propelled his early work. They also bring to light how Stone's artistic impulse came at least partly from a desire to find his place after his Vietnam experiences, and a need for his audience and for himself to understand what the country went through. As Seitz notes, ''He wanted to make movies that changed both himself and others. '' A running theme is the struggle of Stone, as a man, to reconcile the different parts of his being, and to find his calling and his voice, and of Stone as an artist to try and get the films made in versions that mostly closely resemble his vision, something hampered by the tumultuous nature of the film business, where there is never enough money, too many cooks, and where political stories are not deemed good business. We get to learn about his working relationships with his key collaborators, and he also talks about how certain producers allowed him to further his vision or influence the style or scope of his films. We also get to see how Stone has developed as a filmmaker, including his representation of women, and Seitz asks him some philosophical questions that inspire some revealing responses. Seitz occasionally brings up material or quotes that Stone has not seen, or not seen for a while, and Stone's immediate responses are fascinating. The book also affords the reader the opportunity to revisit the films placed against their original historical context and to see what events helped shape them, and how the films were received at the time. We get reminded of the motifs, tropes and themes running through the work, and of the charges made by his critics that crop up again and again. Stone's answers throughout are candid, detailed and reflective. (He's not shy to tell Seitz when he disagrees with his line of thinking. ) Absorbing, thought-provoking and hilarious details come to light that linger in the memory of the reader. We also get to hear about the Stone projects that frustratingly and sadly never came to be. The book is meticulously footnoted and the appendix is extensive, allowing for further outside reading. Fittingly, somehow, despite all that we learn about Stone, he comes off as an even more fascinating, complex, and elusive figure than when we began the book. One comes away feeling that Stone is highly intelligent, driven, and passionate. He is a man with a great sense of anger when it comes to injustice in particular. He can be ruthless, aggressive and uncompromising in the pursuit of his vision, but can be hurt by criticism and by being misunderstood. He is proud of his achievements, but is honest about his failures. Stone is a man who will always be searching and pursuing new knowledge and modes of thinking and seeing. He can see the strengths and flaws in everyone he meets, and his love for the rogues, the eccentrics and the brilliant people is palpable. As with the best of the man's films, the book is as intellectually inspiring as it is aesthetically beautiful. It's an Oliver Stone film in book form. You'll understand the man and his films better, and have more empathy for the struggles behind his achievements. It's a book you'll want to revisit a lot for its visual beauty and for the emotional journey the photographs take you on. You'll also want to revisit the text over and over again for the stories they tell, the humour, the candid answers, and the information on the making of the films. It will make you want to go back and revisit the films and see them through different eyes. For the price of a couple of Blu-rays of his films, with this book you'll have a uniquely brilliant Oliver Stone Experience. Review by Paul Rowlands. Copyright © Paul Rowlands, 2016. All rights reserved. All images from The Oliver Stone Experience (Abrams), and courtesy of Oliver Stone and Ixtlan Productions. Photo from the set of SNOWDEN © Open Road Films. 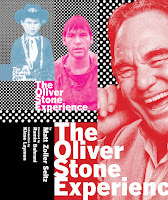 The Oliver Stone Experience by Matt Zoller Seitz, foreword by Ramin Bahrani and introduction by Kiese Lymons, published by Abrams, can be ordered from the US site or the UK site.